This column profiles animator/director Jack King, who worked at both Disney and Warner Brothers. Since King passed away before the Golden Age of animation was appreciated for its place in the industry starting in the late 1960s, many of the anecdotes related to him in this column are based on recollections from various colleagues. After Steamboat Willie proved groundbreaking in the advent of sound cartoons, Walt Disney looked to expand his studio with experienced animators from New York. 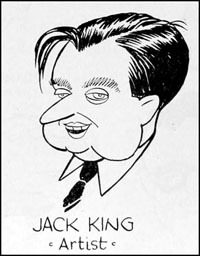 Jack King re-located to the West Coast and was hired at the studio by June 17, 1929. 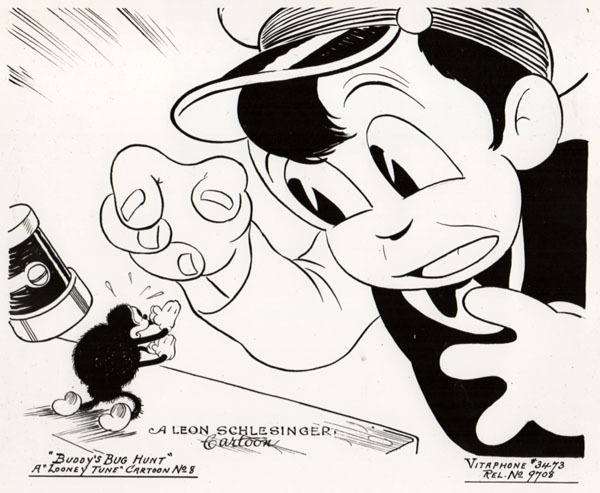 Studio records indicate that King directed at least one cartoon for the studio during this period—the 1929 Mickey Mouse cartoon The Haunted House. As of this writing, there is no circumstantial evidence as to why King did not direct any other cartoons for the studio during the late 1920s and early 1930s. Although the animators rendered clean, finished drawings for the films, around 1932, Disney requested that their preliminary work be drawn looser and to shoot them in rough pencil tests. Using coins to draw Mickey’s head and torso, King relied on his assistant Roy Williams (later a story-man and “The Big Moosketeer” on The Mickey Mouse Club) to sketch rough lines around the drawings to appease his boss. As Jack Kinney recounted, “Underneath it was still that hard, stiff drawing.” Eventually, Walt became wise to King’s ruse, and they had an argument. He left the studio by May 17th, 1933, only ten days before the release of Three Little Pigs, one of the last Disney films with King’s animation. 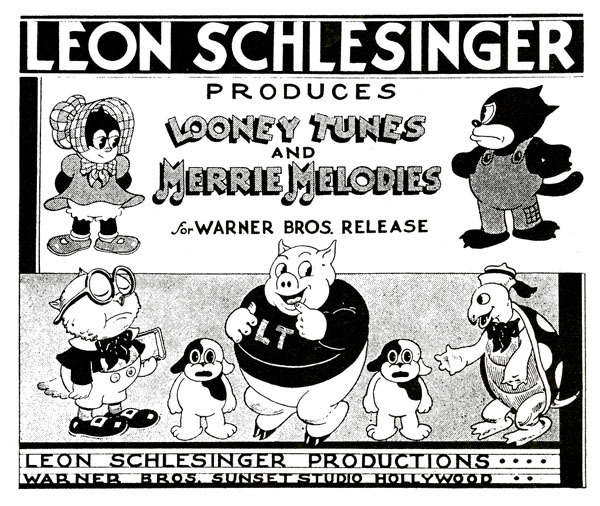 King started as an animator at Warners, but soon became the principal director on the black-and-white Looney Tunes by 1934. 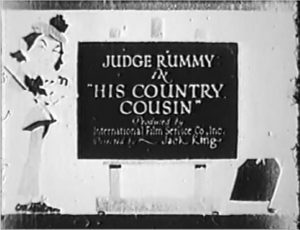 He directed several cartoons with Buddy, such as Buddy the Detective (1934), Buddy’s Bug Hunt (1935) and Buddy the Gee Man (1935). After Friz Freleng debuted a series of animal characters in I Haven’t Got A Hat (1935), a take-off on Hal Roach’s Our Gang comedies that marked the debut of Porky Pig and Beans the Cat, the studio chose Beans for the spotlight in the Looney Tunes series, starting with A Cartoonist’s Nightmare (1935). Other characters from Freleng’s original film, such as the twin puppies Ham and Ex and Oliver Owl, often appeared in King’s cartoons as supporting players. When Tex Avery moved to the studio from Walter Lantz as a new director in 1935, he switched the stardom to Porky Pig whom he felt possessed more comedic potential with his timid nature and stutter. 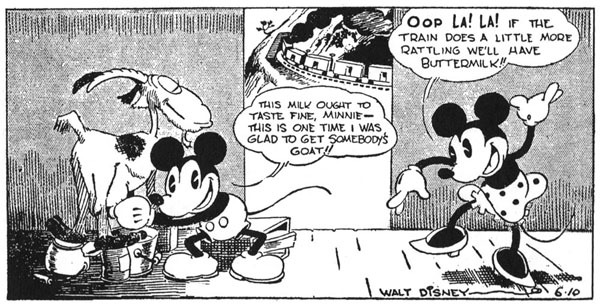 By comparison, Buddy and Beans were stale “good guy” characters, among the rest of many Mickey Mouse offshoots that bore no characteristics to make them unique. While Avery directed his own cartoons with Porky Pig, King handled a few, as well, including Fish Tales, Shanghaied Shipmates, Porky’s Pet and Porky’s Moving Day (all 1936). By the time these titles were released to theaters, King returned to the Disney studio by April 27th, 1936 as a director on the new series of films starring Donald Duck. King’s first Donald Duck film, Modern Inventions (1937), which featured the earliest contribution in animation from Carl Barks, then an-inbetweener who sold gags to the Donald comic strip—a forerunner of Barks’ future in the development of the character in print media. 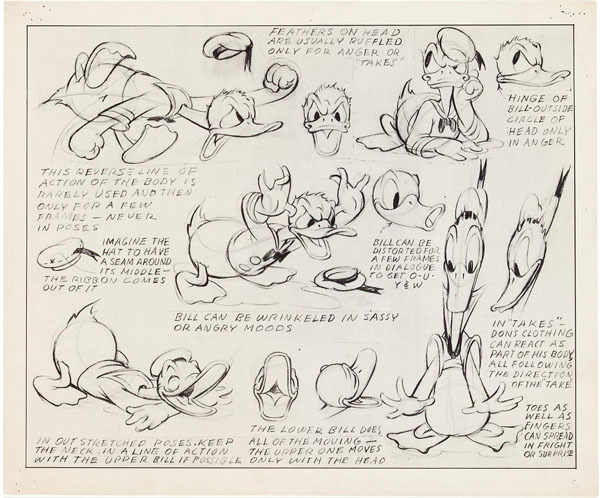 For a decade, in collaboration with several story artists such as Barks, Harry Reeves, Chuck Couch, Homer Brightman, Ralph Wright and Roy Williams, King’s Donald films further defined Donald Duck’s pompous and hot-tempered personality, which ultimately eclipsed Disney’s own Mickey Mouse. King’s films also showcased other characters to co-star with Donald—Huey, Dewey and Louie in the screen adaptation of Donald’s Nephews (1938, based on a 1937 story in the Donald comic strip), the gluttonous Gus Goose in Donald’s Cousin Gus (1939), and the crystallized Daisy Duck in Mr. Duck Steps Out (1940, previously Donna Duck in 1937’s Don Donald). Some sources believe Jack King “retired” from Disney in 1948, the year of his last directorial credit The Trial of Donald Duck. However, two different events contradict these claims: in 1946, facing financial troubles, Disney laid off 450 artists from the studio. Also, King’s supposed “retirement” does not fully coincide with the backlog of animated short cartoons at all the major studios, due to the labor strike and shortage at Technicolor affecting their release schedules. It could be assumed, though based on speculation, that King was a casualty of these layoffs, presumably to minimize costs and in effect, cut back on directorial units at the studio. King passed away in 1958 at Los Angeles—the cause of his death is unknown. Sorry to disappoint the devoted readers of my weekly columns, but I will be taking another, this time longer, break. I hope to resume writing in August, if not later. This will give me some time to write my upcoming book project based on my “Radio Round-Up” series of posts, and to work out my new job (and maybe an additional job, from the looks of things). Don’t worry, folks, I’m not fully gone — I will be back! That book project already peeked my interest. Enjoy your break, Devon. Your columns have been great fun, and even very surprising for years now. I’ve stated herein before how much I’ve gotten to like the BUDDY series and overall cartoon productions at Warner Brothers throughout the 1930’s. I have fond memories of seeing the BUDDY cartoons on TV. I’m sure that Jack King lent a lot of interesting effects and ideas to these cartoons. I also like “SHANGHIED SHIPMATES”. It is one of the stranger and darker cartoons to the early PORKY PIG series. Your columns, here, Devon, have been fun and informative, and I hope you don’t “lurk” too long. Good luck with your book; we need more of that history out there. This book you speak of also has my curiosity. Ive long hoped for some sort of comprehensive guide to dated cultural references that appeared in classic cartoons. Looking forward to reading it. These 1946 layoffs would coincide with the time that Fred Moore, Emery Hawkins, and Art Babbitt left the studio, right? Actually, the layoffs took effect in mid-July 1946. 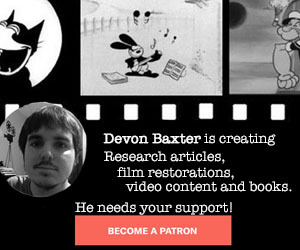 I believe Art Babbitt voluntarily left the studio earlier in January ’46, while Disney fired Fred Moore in August. Not sure if it was due to Moore’s behavior or as part of the layoff, but understandably, it was a tough decision for him to make. King irked Disney no end with his way of doing things, yet when he went to Sclessinger, he was a fountain of wisdom on the Disney method – go figure. And then Walt hired him back with promotion to director? Talent will out, I guess.